Spork and Bok Bok putting their favorite ornaments on the tree. And when I say tree, I mean redwood because SWMBO picked a 14′ tree. Now I know what you are thinking. Why in the world did she get a 14′ tree?! It’s simple really. It is because they didn’t have 20′ trees. 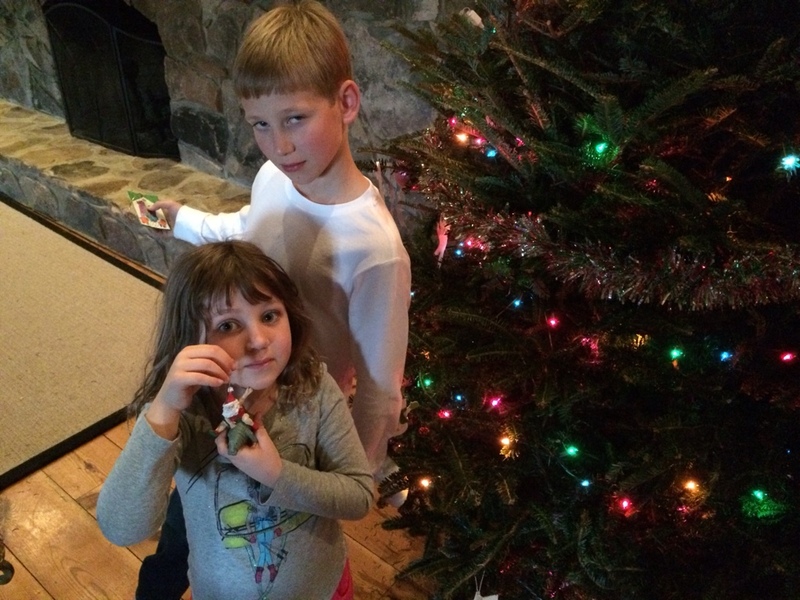 The kids are having a large time getting in the spirit for Christmas, which really takes no prompting. Your author, who is known as Scrooge, doesn’t get there quite as quickly.